The UK scrappage scheme has sold 35,000 extra cars since its introduction under two weeks ago, according to the Government. This amounts to more than a tenth of the £300m allocated until March 2010. Car sales have suffered due to the global downturn and scrappage scheme was announced in the April budget, in a bid to boost the industry. The Government said 1 in 5 orders in the first two weeks of the scheme were scrappage orders. Ministers said they were “very pleased” with the take-up, although the industry remained cautious. A spokesman for the SMMT said it was important not to get "too over-excited". "We’ve seen indications that some manufacturers have had a positive increase in orders and we are encouraged by what has been announced. However, we would like to leave it a couple of months to see how things develop," said the spokesman. 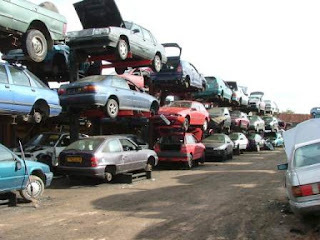 Business Secretary Lord Mandelson said: "The scrappage scheme has got off to a flying start. It has given car sales a major boost and offers consumers a great deal. "Even after two weeks, the sales figures are impressive. As it operates on a first come, first served basis and can not last forever, consumers should get in sooner rather than later for these great deals." Of course this is great news but despite a perfect credit rating, my application for finance was still declined because I am self employed and I do not have 3 years full accounts. I really wanted a new car but quite frankly I am gutted by this. Hmm. My Dad said he wouldn't take up the offer due to the interest rate on the laon. If a 0% APR loan was available alongside the £2,000, he would take it up.